It was perhaps the most defining moment of recent history, the type of event that most people will witness only once in a lifetime. Ask anyone over the age of 30, and they’ll be able to tell you exactly where they were on 11 September 2001, when a series of coordinated attacks using hijacked planes killed almost 3,000 people, the deadliest act of terrorism in US history. The attacks – and just as importantly, the response to them – would go on to transform US foreign policy, and the millions of people affected by that. It would also call into question all the values the superpower had claimed to represent. 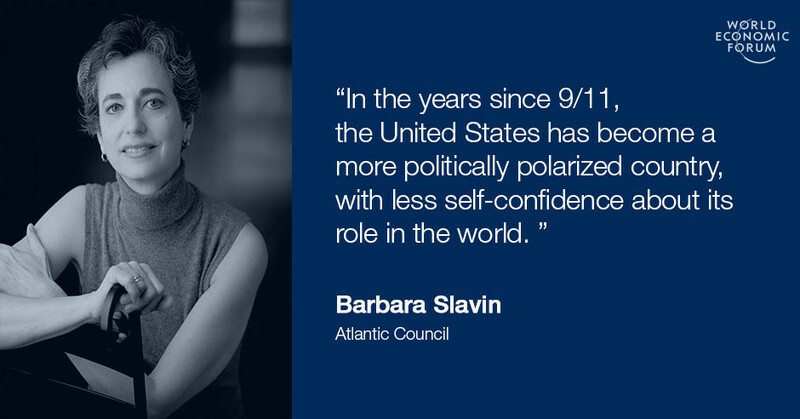 Fifteen years on, how has the US changed since 9/11? 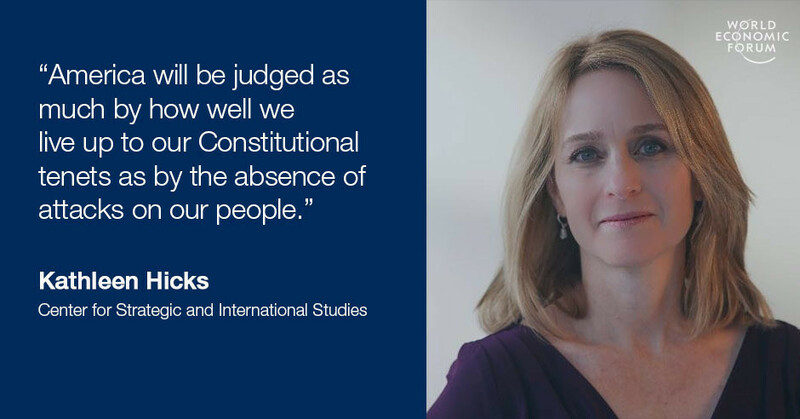 We asked leading foreign policy experts that question. In the 15 years since 9/11, a growing sense of fear has managed to make its way to the US. America’s Muslims – who now make up 1% of the population – are bearing the brunt of this fear, in the form of harassment, bullying and aggression. Many of them will tell you they’ve never experienced such levels of discrimination as they do today, even compared to the immediate aftermath of the attacks. That sentiment is in line with a recent Pew survey , which found that 76% of Americans think anti-Muslim discrimination is on the rise. Yet fear has never been an American value. The US was always known for being relentless in its protection of freedom and diversity. 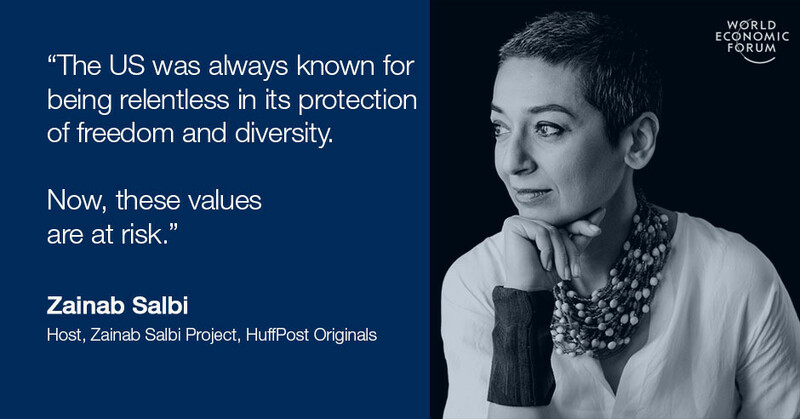 Now, these values are at risk. Erosion of rights always starts with the smallest minorities, but it never stops there. On this 15th anniversary, it would be a misleading assessment of post-9/11 American policies and homeland security agendas to view it as linear, as if there were a “before 9/11” and an “after 9/11” that provide distinct narratives. Indeed, if 9/11 compelled the United States to address its vulnerabilities and risks more aggressively, events in 2005 provided a significant course correction. 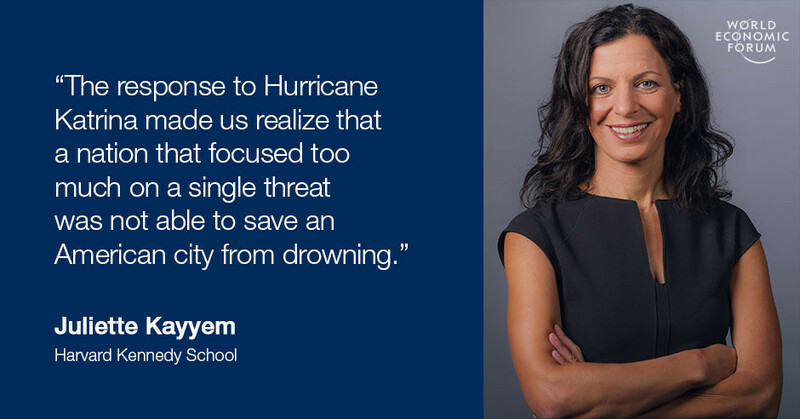 The response to Hurricane Katrina made us realize that a nation that focused too much on a single threat was not able to save an American city from drowning. Today, homeland security is about three important policies for any and all hazards: minimizing all risks, maximizing all defences, and – in this time when our politics can be so caustic – maintaining our spirit as a nation undivided. The 9/11 attacks shattered more than lives and property. The attacks, and the US government’s response, also shattered the boundaries between war and peace. By definition, a “war on terror” can have no clear boundaries in time or space, and no clear boundaries between combatants and civilians. In the post-9/11 era, Americans can no longer define the battlefield or the enemy with any clarity. We can’t even define what counts as a “weapon”: a civilian plane? A truck? A line of malicious computer code? In post-9/11 America, we have come to view an increasing number of threats through the lens of war, from counterterrorism to cyberattacks. As a result, we have brought more and more spheres of US government activity into the ambit of the law of war, with its greater tolerance for coercion, secrecy and lethal force. 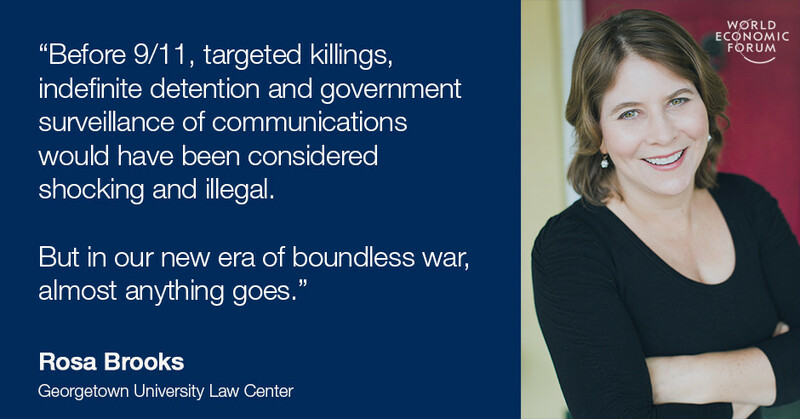 Before 9/11, targeted killings, indefinite detention and government surveillance of communications would have been considered shocking and illegal. But in our new era of boundless war, almost anything goes. The horrific attacks on 9/11, and the wars in Afghanistan and Iraq that followed, put the greater Middle East squarely at the centre of US foreign and security policy, and launched what the Bush Administration called a “global war on terror”. Beginning in 2009, the Obama Administration sought to “rebalance” American foreign policy – just as events in East Asia and Central Europe seemed to demand greater focus and resources. And yet, we’ve found it’s harder than anticipated to close the chapter of American history defined by wars in the Middle East. The evolving threat of Islamist terrorism compelled President Obama, against his own inclinations, to engage militarily in Iraq once again, and since then in Syria and Libya as well. The wars in the Middle East, the metastasis of ISIS, online radicalization, and a series of attacks in European and American cities have made the paradigm of a “global war on terror” very hard to set aside, even 15 years after 9/11. There are two lenses through which to view America’s post-9/11 experience: one of change and one of continuity. Since September 2001, the United States has grappled with a never-before-seen “global war on terror”. Shifting from the relatively benign environment of the 1990s, we now face a larger and more diverse number of man-made threats than ever before. The change is fuelled by the spread of radical ideologies that target the West and the rapid spread of technology that can enable those bent on attacking us. But there is also an important element of historical continuity. America’s current fears have many predecessors – present during the Cold War, at Pearl Harbor, and long before. This is simply the most recent era in which Americans have had to balance their desire for security with their adherence to the principle of protecting individual rights. And, as in the past, we will be judged as much by how well we live up to our Constitutional tenets as by the absence of attacks on our people. In the years since 9/11, the United States has become a more politically polarized country, with less self-confidence about its role in the world. Pressures on the news industry have undercut mainstream media and fed the rise of unscrupulous outlets that spread conspiracy theories and increase divisions. On the positive side, the millennial generation appears to be more tolerant about personal freedom and lifestyles. I just fear that this same generation will be left to confront horrific challenges, such as climate change, bequeathed to them by their irresponsible and ignorant elders. For Americans, the world has changed profoundly in two, somewhat contradictory ways, in the 15 years since the 9/11 attacks. On the one hand, Americans are immeasurably safer as a result of massive investments and improvements in intelligence collection and sharing, billions spent on homeland security measures, and offensive actions – military, financial, cyber, and other – taken against terrorist networks. As a result, the chance of a 9/11 repeat in America is vastly smaller than ever before. 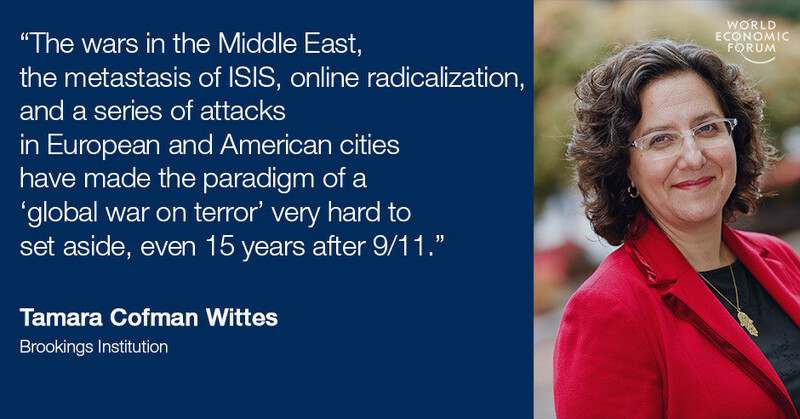 On the other hand, America’s fear of terrorism is perhaps greater than ever. Fully three-quarters of Americans rank international terrorism as the most critical threat to US security. And large majorities view Islamic fundamentalism as a critical threat – levels that are on a par with views in 2002. 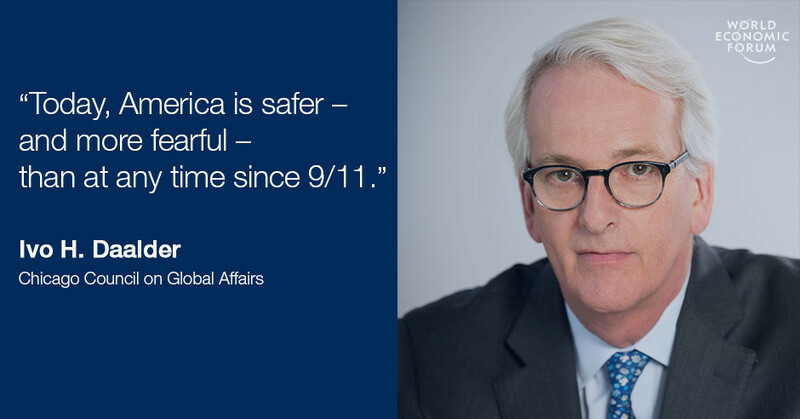 Today, America is safer – and more fearful – than at any time since 9/11.